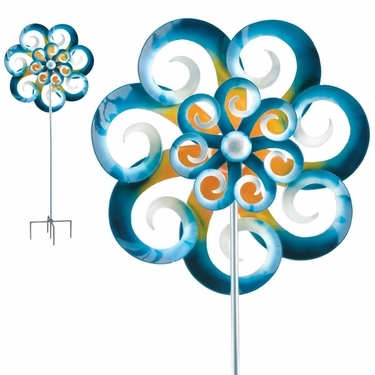 Create a huge water wonderland by your garden or beach house with our new 26" Metal Kinetic Double Wave Wind Spinner! The unique double-bladed design spins in opposite directions, creating a mesmerizing effect. Size: 76.75" Tall, 26" Spinner, all Metal.